Tailwind Energy announced November 8 the completion of the acquisition of the EOG UK portfolio. 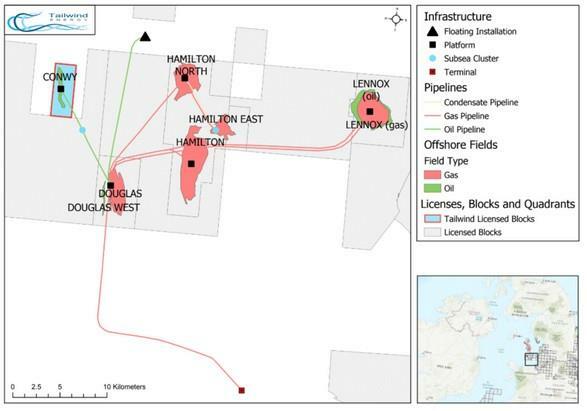 As previously reported, as part of the inherited EOG UK portfolio, Tailwind will own and operate 100% of the producing Conwy oil field (located in Block 110/12a in the East Irish Sea), a 25% non-operated interest in the Columbus gas development project and other minor asset interests in the North Sea. Upon completion of this transaction, Tailwind expects to produce in excess of 15k bbl/d across its portfolio.